On Tuesday, January 31, after Susan G. Komen for the Cure announced it was pulling the plug on its funding for Planned Parenthood, a tidal wave of sorts was unleashed on Twitter and Facebook. People were immediately outraged (rightly so) and the comments, rebuttals and tongue lashings started flowing fast and furiously. In my usual more slow-paced style, I had to mull this one over too. I guess I wouldn’t make a very good news reporter. I’m not a jump-on-the-story immediately kind of “reporter.” I’m more of an opinion page, letter-to-the-editor kind of writer. I’m not going to rehash the facts of the whole story here. There are lots of good links and I’ve tried to include a few of them if you’re interested in more background. In a nutshell, Komen’s announcement stated they are pulling funding to Planned Parenthood because they no longer fund organizations being investigated by local, state or federal authorities. How convenient; talk about putting a nice spin on a statement. Planned Parenthood is being investigated and it’s no coincidence this investigation was initiated by Rep. Cliff Stearns (R-FL), who in turn was being pressured by anti-abortion groups such as Americans United for Life to take on Planned Parenthood. Some such individuals and groups have outwardly stated they wish to see Planned Parenthood dismantled entirely. This leads me to ask my first question, who is bullying who? It’s also important to note that many in the conservative camp have been twisting Komen’s arm of late, pressuring Komen to sever ties with Planned Parenthood. Again, who is bullying who? Sadly, such bullying seems to be paying off. Leslie Aun, Komen spokesperson, defends Komen’s action saying such pressure tactics (interesting to note she did indeed call them pressure tactics) were not the reason behind the decision to cut funding. I think she has her work cut out for her trying to convince people on this one. Perhaps also worth noting, it’s a well-documented fact that Nancy Brinker, founder and CEO of Susan G. Komen for the Cure, has strong ties to the conservative right. In addition, the foundation’s senior vice president of public policy, Karen Handel, has openly proclaimed her pro-life position. Is all of this coincidental? I don’t think so. In my opinion, politics don’t or should not matter here. Your opinions on abortion should not matter here. That’s not what this is, or should be about. It’s supposed to be about preventing cancer from taking women’s lives. Cancer certainly doesn’t care what political party you belong to. No, what matters here, or what should matter here , is that once again women may suffer. Women who are uninsured or under-insured may suffer the most because a viable option for them to obtain free breast care/cancer guidance may not be as accessible. Do you genuinely care about the health of all women? When did caving to political pressure from any source become acceptable for an organization like Komen, the self-proclaimed world leader in the fight against breast cancer? Unfortunately, I have to ask, is this really about breast cancer, or is it more about pro-choice vs pro-life agendas and possible contributions Komen may or may not receive if they do not pull funds from Planned Parenthood? Since many women rely on Planned Parenthood for all of their health care needs, do you really want to send the message you don’t care about them? What if they die from an undetected cancer? Don’t their lives matter? And why the sudden change of heart? Komen has been partnering with Planned Parenthood since 2005. That’s seven years. This “investigation” came to the forefront in 2011. Grants from Komen totaled around $680,000 last year and $580,000 the year before, allowing Planned Parenthood to provide breast cancer screenings and other breast-health guidance services to more women in need at 19 of its affiliates. Shouldn’t this be something Komen is proud of, not halting? How do you justify eliminating funds to support Planned Parenthood while also proclaiming commitment to your mission? Getting back to the bullying… let’s see. .. Some individuals and organizations have been “bullying” congress and have now also successfully succeeded at “bullying” Komen. Congress has in turn been “bullying” Planned Parenthood; Komen is now doing the same. If you’re a woman who has depended on Planned Parenthood for breast-health care and guidance, I’d say you are being “bullied” most of all. And lastly, about the tidal wave, Susan G. Komen for the Cure; you may have gone too far this time. You may have just “washed away” more than a few of your supporters. Some of them might even decide to donate to Planned Parenthood instead. NOTE: Since this post was first published, Susan G. Komen for the Cure has reversed its decision to split with Planned Parenthood and has apologized for their action. 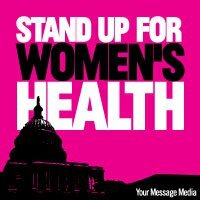 It’s a good day for women’s health, however there is still much work to be done. Far too many lives are still being lost to breast cancer. Note: Please feel free to comment, but this is not about abortion, it’s about protecting women from cancer, so I’m hoping all are mindful of the difference. Thank you in advance! Do you think Komen should pull the plug on its partnership with Planned Parenthood? Why or why not? Do you think this action to do so is politically motivated? Are you a supporter of Planned Parenthood? Why or why not? Poor women’s lives should not be pawns in a political game. Chemobabe, Your comment is perfect. No need to say more. Thank you. Excellent and probing questions, Nancy. I doubt we will ever have honest answers, but actions do speak loudly. Komen’s actions now, and in the past, have put the organization into the what is now indeed a TIDAL WAVE. I could not be more disappointed with the organization. Frankly, I’m also tired of writing about them, but this cannot stand. Our friends, loved ones, colleagues, and soul sisters we don’t even know deserve so much better than this. Gayle, I agree it is growing tiresome, but this time it seems Komen has really touched a nerve and almost everyone is agreeing they made a terrible PR mistake at the very least. You’re so right, our friends, loved ones, colleagues and soul sisters deserve more. We all do. Thanks for commenting. How are you gonna ignore the link between Hormonal BC, which PP pushes & BC??? Komen has shown they are not #forthecause, but I am shocked @ the amount of women who choose to ignore this link. And as Ethinyl Estradiol gets in the water supply, they’re putting us all @ risk. Komen & PP, neither one is honest about Breastfeedings role in prevention either. I see both as outdated organizations who don’t speak to today’s feminists & BC Activists . . .
Ellen Mary, I’m not ignoring other issues, but frankly they are unrelated here in my opinion. Planned Parenthood is far from perfect, but they provide a wonderful and much needed service to a large number of women. And I’m not talking about abortion, which accounts for a very small fraction of services they provide. People tend to forget this. Thanks so much for commenting. Katie, Well, I wasn’t as quick as you, but I try. Thanks for commenting. Great posting, Nancy, and wonderful questions. Maybe this latest action by Komen will be its undoing? (Keep fingers crossed.) Komen has no vested interest in women’s health, only the almighty dollar and to please politicians. Yes, the people who are going to suffer most from this move are the uninsured and underinsured. But why the heck should Komen cared? It never cared. I’m so disgusted with this organization, that it is beyond belief. Thank you for excellent reporting. I think you’d make a great reporter! Beth, I do think this latest action taken by Komen just might do some permanent damage to the organization. The outcry against the decision has been something to watch. I’m encouraged by the way people for the most part have been outraged. I’m disgusted by the whole thing and there’s no way it can be anything but political and politics should not be coming to play here in my view. Thanks for reading and for your kind words. I don’t think I’m cut out to be a reporter, but thanks for the compliment! “Cancer certainly doesn’t care what political party you belong to.” Exactly! Praelior, Thanks for repeating that very important point. This is supposed to be about women’s health, not politics. 1.Do you genuinely care about the health of all women? – Old adage, “actions speak louder than words” – SGK’s actions in this instance and in th way they have historically not addressed MBC would say that the answer is a resounding NO. 2.When did caving to political pressure from any source become acceptable for an organization like Komen, the self-proclaimed world leader in the fight against breast cancer? – Since when did it become acceptable for a “nonprofit” whose stated mission is the research and cure of the growing epidemic of breast cancer, to not only take $$ from companies that perpetuate cancer (by the wide spread commercial use of known carcingens), but requisition a product for profit, marketed to women, containing identified hormone disrupters? When SGK started down the aforementioned path years ago, they started slipping down that insidious slope. 3.Unfortunately, I have to ask, is this really about breast cancer, or is it more about pro-choice vs pro-life agendas and possible contributions Komen may or may not receive if they do not pull funds from Planned Parenthood? – It was an economy of scales decision: the extreme right-wing conservative political faction in this country hold more wealth than the minority/women population served by PP. SGK may alienate the “liberal” financial base that is outraged by the burden and impact of thi decision, but SGK will still be able to meet target fundraising goals through its new BFFs. 4.Since many women rely on Planned Parenthood for all of their health care needs, do you really want to send the message you don’t care about them? What if they die from an undetected cancer? Don’t their lives matter? – Well, they will be dead, and our lawyers have advised us that since we are not obligated to provide this service, their surviving families will not have any legal causation for a wrongful death suit. So, in a nutshell, since there is no liability on our end…NO…they don’t matter! Besides, our new BFFs on the right showed us that statistically PP’s target population have low voter turn outs. 5.And why the sudden change of heart? Komen has been partnering with Planned Parenthood since 2005. That’s seven years. This “investigation” came to the forefront in 2011. Grants from Komen totaled around $680,000 last year and $580,000 the year before, allowing Planned Parenthood to provide breast cancer screenings and other breast-health guidance services to more women in need at 19 of its affiliates. Well, Ms. Handel was hired 18 months ago, and part of our agreement in hiring was that we would do transition away from this continued indigent support of screening, referrals, etc to THAT population served by such an entity. Ms. Handel is a real go-getter and rallied the dormant politicized agendas of our other board members and took care of business. 6.Shouldn’t this be something Komen is proud of, not halting? – We continue to proud of the significant inroads we have made over the last 30 years in striking a significant blow to the prevention and cure of breast cancer…even if over 40,000 women die of MBC every year in this country (a number that has not changed in the 30 years we have been in existence)! I proud to be fulfilling the promise I made to my sister on her deathbed…um…that only a select group of women who align with my political & religous iedologies will be afforded access to potentially life-saving health care! Yay me! 7.How do you justify eliminating funds to support Planned Parenthood while also proclaiming commitment to your mission? -I proud to be fulfilling the promise I made to my sister on her deathbed…um…that only a select group of women who align with my political & religous iedologies will be afforded access to potentially life-saving health care! Oh cr*p…did I just say that out loud, twice? Tidal wave for SURE! Nothing to add..just, as usual….. made all the points…. I guess your blog really does have a great name!! I’m worn out from all of this. Ann Marie, Yep, it seems to be a tidal wave. I think Komen has really blundered this time. I’m loving the outrage. Thanks for dropping by and glad you like the name of my blog! Great, insightful post, Nancy. Komen’s action never cease to amaze me. What are they thinking? Your question about being proud is what really got to me. Why don’t they stand up for what they claim to support? Women in need of the very services they’re now taking away. Doesn’t make sense. I see this as a wasted opportunity on Komen’s part. They can do so much, yet they don’t. Ok, I’m stopping. It’s just so infuriating! Stacey, I agree. Partnering with Planned Parenthood was something really great Komen was doing, something to be proud of. This decision to cut ties is a huge PR mistake in the opinion of many, including me. It will be interesting to see what comes of it down the road. Happily, I’m hearing PP is getting lots of donations. Still, that doesn’t excuse Komen’s actions. They have let a lot of women down and hurt themselves in the process too. As you said, it’s infuriating. Thanks for commenting. Alli, You make a very good point. Sadly, you are probably right. Unfortunately outrage is just reaction. It is not always connected to action. What are people doing about their outrage? Kay, Are you on facebook? I have a link there on my Nancy’s Point facebook page where you can do something. Sometimes just talking about it is enough. Thanks for the comment. That is doing something!! An extremely well-placed person in the breast cancer community told me that Komen won’t change until Nancy steps down. When I Twittered that info 2 months ago, including the “well-placed person” moniker, Komen INSTANTLY called that person to complain about my Tweet. Kind of spooky!! In addition to me, Komen had to have been monitoring the other person, or why would they have picked them to call & complain to about me? Surely Komen has better things to do with their time, but then maybe not. Obviously they’re too busy defending themselves to really hear the issues. Brenda, Defending themselves is a tough job and it’s going to get even tougher because people are beginning to see the light. Thanks for commenting. I’m so over Komen at this point–it’s all too little too late. This was such a great and thoughtful post, Nancy! And Gayle’s #occupythecure comment made me grin. I like that. Wendy, A lot of people are beginning to agree with you. Naps indeed; the week was tiring wasn’t it? Thanks for commenting. I did a post on the very issue yesterday…. Jen, Thanks for sharing the link. I’m glad they reversed the Planned Parenthood decision, but I think Komen has lost its way and is now about its leadership and their own careers and power and politics and not about women and breast cancer. At a minimum, it seems that they need some political diversity in the top leadership to ensure that they don’t make such foolish politically-motivated decisions in the future. There are so many worthy organizations, that I’m going to double-down on Dana Farber and ACS and drop Komen for the foreseeable future. Christy, I agree with you. I, too, think Komen has lost its way and that’s really sad because so much potential for good is being lost. I keep hoping they’ll come around, but… Thank you for stopping by and commenting even after the reversal. I appreciate “hearing” your thoughts. Excellent points, all, Nancy. It’s remarkable that an organization with so much money and time and staff cannot avoid making so many missteps year after year. I think it’s because they just don’t get it, because, as others have suggested, they lack a real moral compass about breast cancer and women’s health. And without that, they will always lose their way. Kathi, It is remarkable isn’t it? I think this time Komen has really blundered. I feel its reputation has been significantly tarnished. People are noticing these mistakes and taking note. And you’re right about the moral compass, Komen does seem to be missing one of late. Thanks for commenting. Start here! Sign up to receive weekly emails from Nancy’s Point! Keeping it real. Support you can use. Sign up today! My memoir is available in three formats! Ilene Kaminsky on “I Miss Them” (my breasts) April Is National Poetry Month, So I’m Sharing a Poem! Nancy on What If We Started Saying the “D” Words Out Loud More Often? 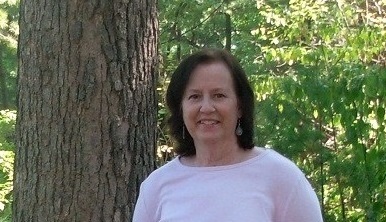 Nancy on Post Cancer Diagnosis, Where Is My Epiphany? Nancy's Point All rights reserved.